Located in the heart of downtown Baie-Saint-Paul, the restaurant Saint-Pub de la MicroBrasserie Charlevoix offers a table that is both simple and quality in a relaxed atmosphere. Restaurant L’Orange Bistro offers to his guests a typical dining experience with flavors of the Charlevoix region. Elaborate cuisine that showcases local products, in a very nice bistro-style restaurant. If you are looking for energy or comfort food, our cafe has pastries, sandwiches and wood-fire pizzas that will hit the spot. For breakfast or for lunch, lots of local products are yours to discover. With family or friends, come and discover The Restaurant Le Petit Régal. Let’s have a memorable experience by enjoying their delicious homemade pizza. Located in the heart of the city center, Pierre-Narcisse has the largest and sunniest terrace in town. The service is prompt and courteous and the meals are plentiful and delicious. A family restaurant 10 minutes from our cottage ! 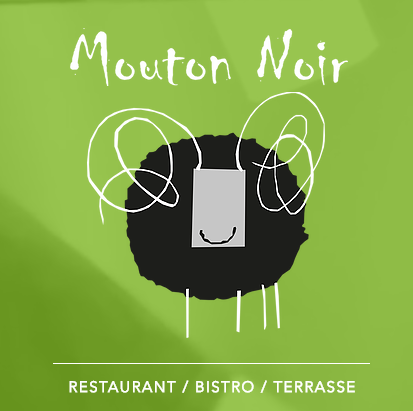 Le Mouton Noir will seduce you with its beautiful terrace overlooking the river, its warm atmosphere and its affordable gourmet menu. In Charlevoix, outdoor enthusiasts will be served with a variety of trails running through the region. Whether you are hiking, cycling or cross-country skiing, you will find an excursion that meets your expectations. Place your bets! Those who love chance will love to try their luck on the side of the Casino de Charlevoix. Charlevoix, that’s it: winning all the way! Charlevoix reinvents the art of panning for a trip on board the Charlevoix Train, a railway adventure for miles along the St. Lawrence. Opt for the unparalleled comfort and panoramic view of AML Grand Fleuve and AML Zéphyr to watch the giants of the sea! With more than 20 years of experience, a team of therapists offers personalized care with refined equipment in an enchanting setting. The Siberia experience is inspired by a Scandinavian concept that alternates the warmth, the cold and the rest in order to bring you to a deep relaxation. Located on the edge of a small private lake on a land of more than 300 000 square feet, Le Nordique spa Mont Ste-Anne is the most intimate spa in the Quebec region. Nestled in the Baie-Saint-Paul Hotel, le Massage Passion Wellness center is the perfect place to enjoy an unforgettable relaxing experience. Come and see Le Spa Nordique Le Germain. You will fall under the charm of Japanese architecture and its exceptional location. Le Spa Urbain Le Marion offers an indoor thermal experience: hot ponds, cold falls and sauna, as well as massages, facials and the NeuroSpa. Le Relais Ski Center is renowned for its exceptional skiing conditions and the quality of its infrastructures make it a popular resort for enthusiasts. Exceptional gliding sports site, recognized for its superb atmosphere! Nestled in a valley shaped like a horseshoe, so sheltered from the winds, the resort offers 39 tracks of all levels, spread over three mountains. Only 30 minutes from the cottage, Mont-Sainte-Anne is one of the most beautiful ski resorts in eastern North America and Canada’s largest cross-country skiing center. Le Massif de Charlevoix is the highest elevation east of the Canadian Rockies and 15 minutes from the cottage! Le Massif is simple pleasure, without artifice. Rough fun. The Mont-Grand-Fonds is 335 meters high, a high-speed snow park and 20 slopes and undergrowth where beginners and experts meet. When the powder is part of it, it’s magic! Only 30 minutes from the chalet, this 4-star course offers a hilly course at the foot of Mont-Sainte-Anne. The Grand Vallon is one of the most beautiful golf challenges. The architecture of this 27-hole high-caliber highlights the natural assets of the site: its rugged relief, its woodlands and its breathtaking view of the St. Lawrence River. Since the first golf shots from 1876 until today, the Murray Bay Golf Club has adapted to the passage of time. It is the third oldest club in America and the oldest still in the same location. Golf The loup located in Baie-Saint-Paul offers a unique experience thanks to an 18-hole course with a magnificent view of the river and the mountains, all that less than 15 minutes from the chalet.